The SP WinterResponse answers the varying demands of winter driving. An asymmetric pattern design means that dedicated areas perform specific tasks, resulting in a good balance of wet, snow and ice driving properties. Drive with confidence in heavy snow conditions. The tread design features two types of blades that work together to help maintain good traction, braking and cornering on snow. The SP WinterResponse benefits from a high silica tread compound that retains elasticity at low temperatures, increasing traction on ice and snow. When driving on slippery winter roads, getting the right feedback from your car is crucial. 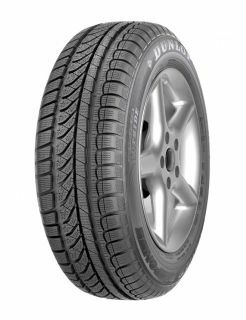 The SP WinterResponse benefits from Dunlop Touch Technology, a set of advanced features that give you a better feel for the road surface.